New Delhi. 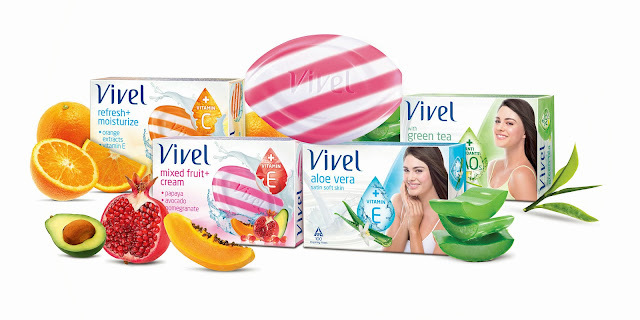 October 22nd, 2013: Vivel, one of India’s most exciting brands and ITC’s leading personal care brand, announced the launch of its unique Skin Nourishing Range of Soaps. This new skin nourishing range with Vitamin E under the Vivel brand is a manifestation of the growing consciousness amongst women towards personal grooming and the compelling need for nourishment. 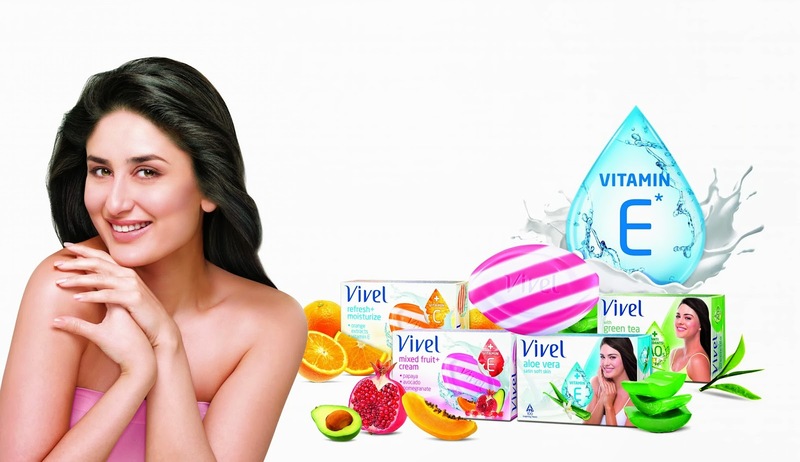 Vivel with Green Tea and Vitamin E is a unique offering in the Indian Soap industry. Vivel with Green Tea deep nourishes skin and prevents accumulation of skin impurities. Vivel Aloe Vera with Vitamin E deep nourishes to give satin soft skin. Vivel Mixed fruit + Cream with Vitamin E is a double delight for one’s skin. It is a unique 2-in-1 soap enriched with mixed fruit extracts of Pomegranate, Avocado and Papaya and Milk Cream. It not only nourishes but also gives skin a youthful, radiant glow.Vivel Refresh + Moisturize offers dual benefits of freshness and moisturization with Zesty Orange extracts and Milk Cream. Vivel Aloe Vera, Vivel with Green Tea and Vivel Mixed Fruit & cream is priced at Rs. 22/- for 100 gms. Vivel refresh + moisturize is priced at Rs. 20/- for 75 gms. These range of soaps are available nationally across retail outlets. This beq productbrange from vival looks quite promising..
Come and join my mignon sunglasses giveaway. I quite like Vivel products. Thanks for the info. They sound like really nice soaps. I never used this line before. Have a good week dear and thanks for your comment earlier! Interesting info... I would like to try this soap!!! !